A Book Riot Best Fantasy Book of 2018 "A grand sweep of adventure and travel, war and romance--along with a generous amount of face licking--that will have dog lovers enthralled.... 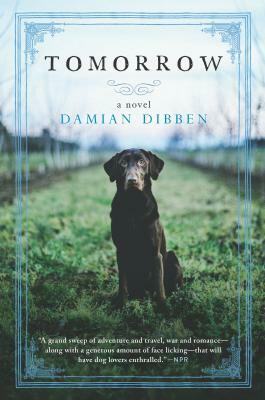 Tomorrow offers a rich exploration of love, life and loyalty, in a world whose sensory atmosphere is irresistible." --NPRVenice, 1815. A two-hundred-year-old dog is searching for his lost master. And so begins Tomorrow, a story of love that spans the centuries and of hope as the world collapses into war. Tomorrow is a dog who must travel through the courts and battlefields of Europe in search of the man who granted him immortality. His is a journey of loyalty and determination, as he befriends both animals and humans, falls in love--only once--marvels at the human ability to make music and despairs at their capacity for war. Tomorrow is a spellbinding novel of courage and devotion, of humanity across the ages and of the eternal connection between two souls.